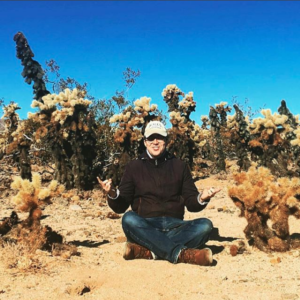 Download the accompanying IPython Notebook for this Tutorial from Github. Python streamlines tasks requiring multiple steps in a single block of code. For this reason, it is a great tool for querying and performing analysis on data. Last Tutorial, we outlined steps for calculating Relative Strength Index (RSI). In this Tutorial, we introduce a new technical indicator, the Rate of Change (ROC). 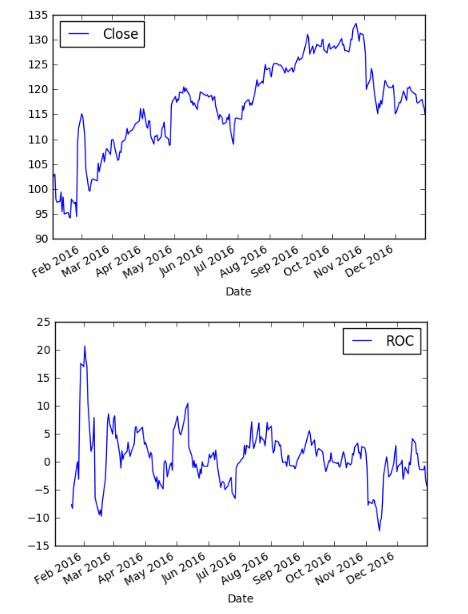 The Rate of Change (ROC) is a technical indicator of momentum that measures the percentage change in price between the current price and the price n periods in the past. The Rate of Change (ROC) is classed as a momentum indicator because it measures strength of price momentum. For example, if a stock’s price at the close of trading today is 10, and the closing price five trading days prior was 7, then the Rate of Change (ROC) over that time frame is approximately 43, calculated as (10 – 7 / 7) x 100 = 42.85. Positive values indicate upward buying pressure or momentum, while negative values below zero indicate selling pressure or downward momentum. Increasing values in either direction, positive or negative, indicate increasing momentum, and decreasing values indicate waning momentum. The Rate of Change (ROC) is also sometimes used to indicate overbought or oversold conditions for a security. Positive values that are greater than 30 are generally interpreted as indicating overbought conditions, while negative values lower than negative 30 indicate oversold conditions. Let’s use Python to compute the Rate of Change (ROC). 2.) Define function for querying daily close. 3.) Define function for Rate of Change (ROC). How does the ROC function work? 3.a.) Function calculates difference in most recent closing price from closing price n periods ago. Sets the value to variable M. 3.b.) Function calculates closing price n periods ago. Sets the value to variable N. 4.) 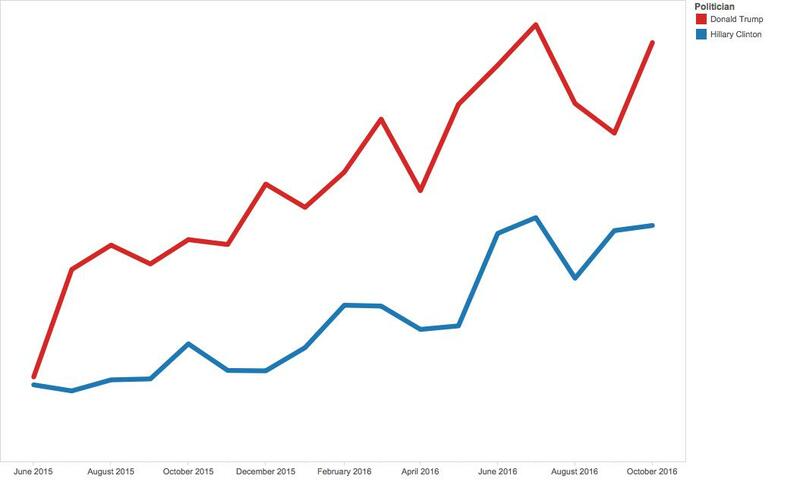 Query daily close for ‘FB’ during 2016. 5.) Run daily close through ROC function. Save series to new column in dataframe. 6.) Plot daily close and ROC. Download the IPython Notebook that accompanies this Tutorial from Github. View the Quantopian Backtest here. The Relative Strength Index (RSI) is a momentum indicator that compares the magnitude of recent gains and losses over a specified time period. RSI values range from 0 to 100. For this strategy, we buy $FB when the RSI is less than 30, and we will sell $FB when the RSI is greater than 70. The RSI will be calculated at a minutely frequency, as opposed to a daily frequency. The RSI Strategy produces 32.2% return, resulting in $3,220 pre-tax return. FB Buy & Hold produces 10.0% return, resulting in $1,000 pre-tax return. SPY Buy & Hold produces 12.0% return, resulting in $1,200 pre-tax return. Compared to the SPY Buy & Hold, the RSI Strategy produces $2,220 Alpha whereas FB Buy & Hold produces ($200) Alpha, both on $10,000, principal. The RSI Strategy produces 147.4% return, resulting in $14,740 pre-tax return. FB Buy & Hold produces 238.5% return, resulting in $23,850 pre-tax return. SPY Buy & Hold produces 89.6% return, resulting in $8,960 pre-tax return. Compared to SPY Buy & Hold, the RSI Strategy produces $5,780 Alpha whereas FB Buy & Hold produces $14,890 Alpha, both on $10,000 principal. Thus, on the broader time horizon, FB Buy & Hold outperforms the RSI Strategy. The question still stands: what about 2016 makes the RSI Strategy superior in performance to FB Buy & Hold? In this post, we use Quantopian to build and backtest a Relative Strength Index (RSI) trading strategy. “Quantopian provides capital, education, data, a research environment, and a development platform to algorithm authors (quants). Quantopian provides everything a quant needs to create a strategy and profit from it. In other words, Quantopian is a website where one can build, test, and deploy trading strategies, using Python. To review, the Relative Strength Index (RSI) is a momentum indicator that compares the magnitude of recent gains and losses over a specified time period to measure speed and change of price movements of a security. It is primarily used to identify overbought or oversold conditions in the trading of an asset. RSI values range from 0 to 100. Here is the Python code for the RSI Strategy. At its foundation, Quantopian code is made up of three chunks: import modules, initialize, and handle_data. 1.) First we import the Talib, Numpy, and Pandas modules. As we’ll see, Talib streamlines the calculation of Technical Indicators. 2.a.) Define the security to trade, $FB. 2.b.) Define the weight of each security. Since the RSI Strategy trades one security, the weight is 1.0. If there were two securities, the weight would be 0.5. 2.e.) Define the benchmark to which we will compare our strategy. In the example, the benchmark is set to $FB, essentially a buy and hold strategy. Remove ‘set_benchmark()’ to set the benchmark to the standard, ‘SPY’, or market rate. 3.a.) Query the ‘FB’ historical price data for the past 40 trading days. 3.b.) Create dictionary of RSI values. 3.c.) Create for loop for RSI calculation and order logic. 3.d.) Use Talib to calculate Relative Strength Index. 3.e.) Save Talib output to dictionary. 3.f.) Save current portfolio positions in order to not execute too many/few orders. 3.g.) Order logic: if RSI is greater than 70 and positions are greater than 0, then sell all positions. 3.h.) Order logic: if RSI is less than 30 and positions are equal to 0, then buy positions equal to weight defined in initialize function. 3.i.) Chart RSI data for $FB. We backtest the RSI Strategy with a $10,000 principal for the time period, 01/01/16 – 12/31/16. Yes, $2,220 Alpha on $10,000 principal is impressive. Before we go and bet the farm, let’s see how the RSI Strategy performs over a longer time period. Since the ‘FB’ IPO occurred on 05/18/12, we will backtest for the period 05/19/12 – 12/31/16. Over the long term, money would go further with the FB Buy & Hold strategy. Visit my Github to access the source code for the Stock Technical Analysis: Python Tutorials. 4 Days before the 2016 US Presidential Election, what does the Twitterwonk Model show? Here are monthly, weekly, and daily views starting June 2015 through October 2016. The model, which is a function of Twitter activity, shows Trump in the lead. While the model correctly predicted the primaries, jury is still out whether the same dynamic applies to the general election. Regardless, 2016 will be remembered as an election in which social media, on both the left and the right, played a dominant role. I believe social media will play an even greater role in future elections, shaping political communication for decades to come, as well as becoming a primary source for the measurement of public opinion. In the meantime, let’s see how this election plays out in the remaining days…I predict many will be surprised at how close the results turn out to be. If they Google You, Do you Win? In a way, this election is a referendum on “do actions speak louder than words”, is what people do in the privacy of their internet browsing more reflective of their future behavior than what they tell pollsters? And while I have focused on twitter as a barometer of public opinion, there are other data sources that could signal the private thoughts and future actions of voters. The linked NYT article, “If they Google you, Do you Win?”, mentions using the Google queries “Trump Clinton” vs. “Clinton Trump” as signals of voter interest, with the respective queries reflecting bias towards the candidate listed first, i.e. “Clinton Trump” would reflect bias towards Clinton. 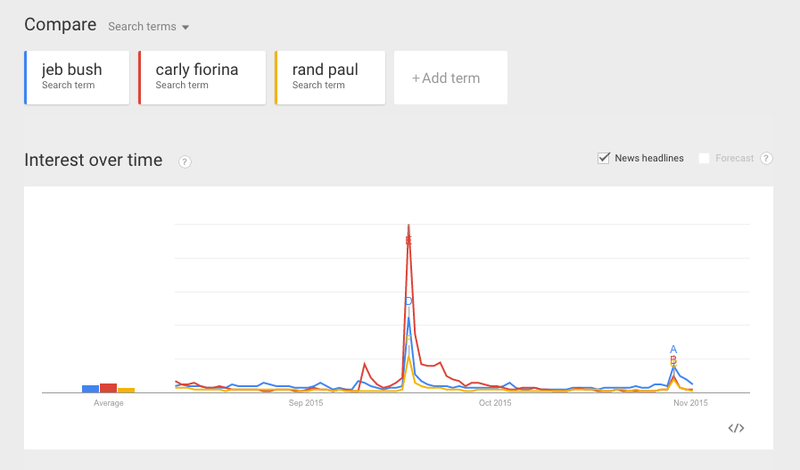 Using this methodology, I researched Google trends for Battleground states to see where public opinion may be. The data are displayed below. For the month of October 2016, “Trump Clinton” leads “Clinton Trump” in every state with the exception of Nevada. You might say Trump is a polarizing celebrity, and for that reason he may be top of mind even if the individual plans to vote for Clinton. Okay, well then let’s penalize Trump 10%. Even in that case, ‘Factored “Trump Clinton”‘ indicates that, with the exception of Nevada, the three states that are in play are Virginia, Iowa, and Florida. So while it is unclear in which direction the election will result, I believe we may be surprised at how close the results turn out to be, and that one thing we may remember is the discrepancy between what was reported in the polls leading up to the election and what actually happened online. We only have 4 days left to see which source provides a clearer signal of truth, and until then….Good luck to both candidates! Where does the competition stand leading to tonight’s Republican Debate? Using Google Trends data from the past three months, I plotted a correlation matrix comparing search queries among the candidates. The matrix reveals trends. 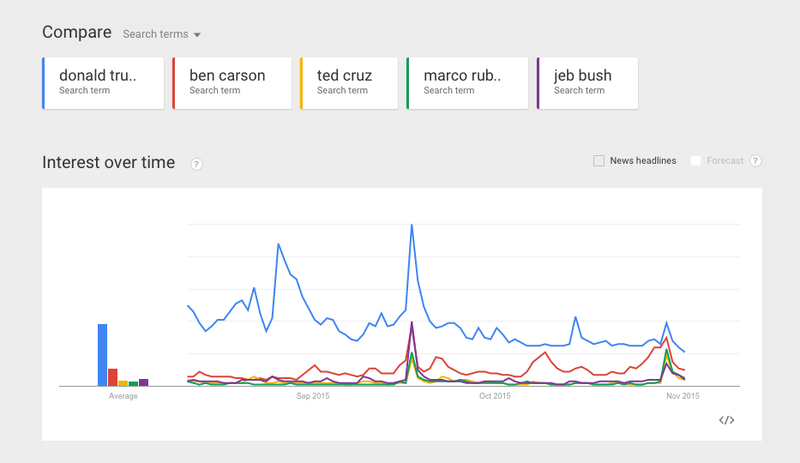 Notably, Donald Trump searches are the least related to the other candidates. This supports Trump having created his own news cycle, apart from the Republican news cycle. As you may see in the time series plot, the Trump search artifact exhibits peaks and nuance not seen in the other artifacts. 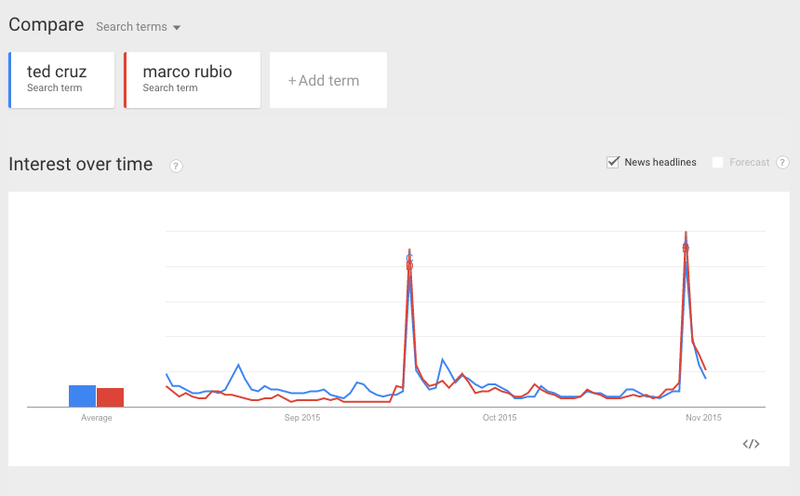 Furthermore, Trump searches are the least related to Ben Carson searches, with a 0.01 correlation. Other patterns to note, Ted Cruz and Marco Rubio searches are highly related, 0.94 correlation, and there is high inter-relatedness among searches for Jeb Bush, Carly Fiorina, and Rand Paul. We will see tonight if any of the Candidates makes a move to shake up the trends. It has been written 15% of all Internet traffic is cat-related. Whether you believe this statistic, there is no doubt cats inhabit the digital space. To cite more popular examples, we have encountered LOL Cats, Grumpy Cat, and Lil’ Bub…what cuties! To date, there are 72 million media tagged as “cat” on instagram. With so many kitties purring around the interwebz, how might a content creator know where to start? 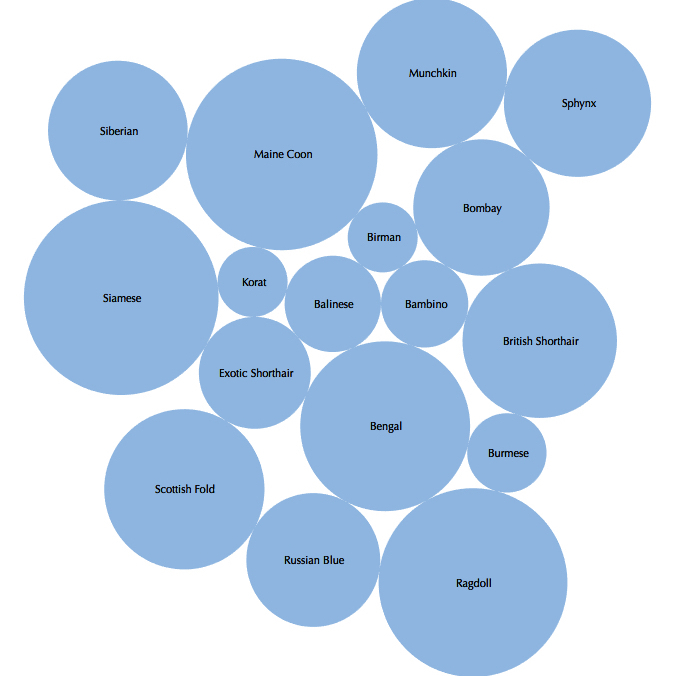 Well I have created a visualization showing the most popular cat breeds by hashtag on instagram. Enjoy, and MEEEEEEEOW!!! Have you ever wanted to send a message to someone with whom you do not have direct contact? What if you knew a friend who had direct contact with this someone? You could send the message through your friend. This principle can be modeled geometrically. 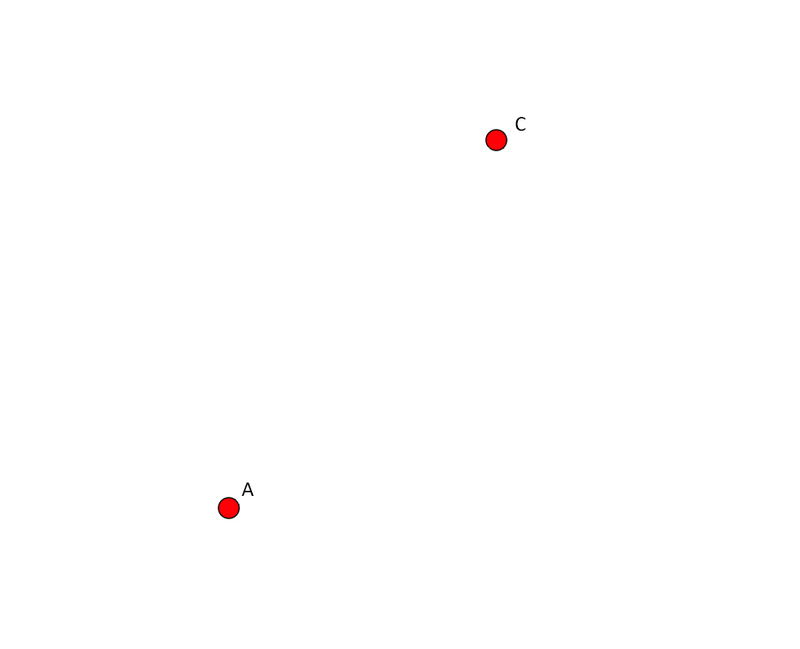 Let’s say you are A and the person with whom you want to speak is C. There is no direct link between A and C.
However, your friend, B, knows this someone, C. So there are links between you, A, and your friend, B, as well as your friend, B, and this someone, C.
Thus, your friend, B, can serve as a bridge, linking you and this someone, and a triangle is formed. Although when presented geometrically this process may appear abstract, we are familiar with the practice in everyday settings. For instance, we link two contacts via an introduction email, or we introduce two friends at a cocktail party. Triangles are a divine geometry, as they serve to create new connections. With the US Political season on the horizon, let’s use Twitter and apply this geometry to Republican Presidential Candidate Donald Trump, @realdonaldtrump. Trump follows 44 twitter profiles, one of which is that of Bill O’reilly, @oreillyfactor. O’reilly follows 37 twitter profiles, one of which is that of Donald Trump. So there is a two way connection between Donald Trump and Bill O’reilly. Well Let’s image this two way connection did not exist and that Donald Trump wanted to connect with Bill O’reilly. How might the two connect? Yes, we must find the common links between Trump and O’reilly, that is the twitter profiles that they both follow. 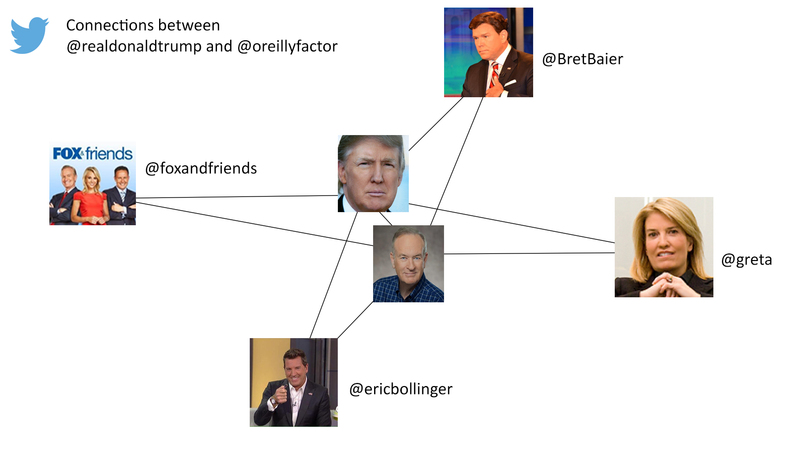 When conducting the analysis, via Python, we find that there are 4 twitter profiles that both Trump and O’reilly follow. The four profiles are @foxandfriends, @BretBaier, @greta, and @ericbollinger . Again, here’s the visualization from above. To connect with O’reilly, Trump could form a triangle from any of the four. The more links, the greater the likelihood a connection will be made. Triangles create opportunities for our message to reach peripheral networks, without us having to directly transmit the information to the end recipient. Therein lies the true power of social networks.